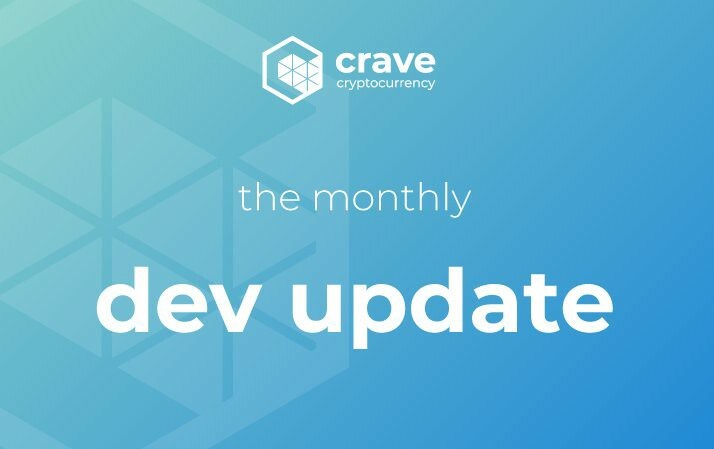 Welcome to the second monthly development update from the Crave team! If you would like to check out how the previous month of May kept us busy, please read this post. 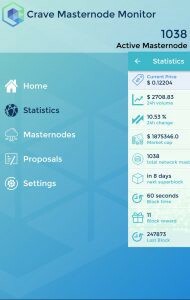 We are working with a development team to design an iOS / Android app that serves to track the status of a user’s masternodes. Some features of this will include the ability to see your masternode earnings (individually per node, as well as an estimated value per day of all of your combined masternodes), notifications if your masternode were to become disabled, a list of current proposals and their statuses, and much more. More work is still being done to perfect items such as showing masternode rewards with a graphical interface, and fixing any minor errors. Crave has recently joined the Blocknet community, bringing masternodes and privacy to cross-chain ecosystems seen on http://blocknet.co/coins. If you are unfamiliar with what Blocknet provides, please check them out! As some of you may be aware of, we partnered with Whopper.io to provide Crave with a set of wonderfully designed and customized cold storage cards. Along with this, we held a huge giveaway of 20,000 Crave — 200 cards were given to those that signed up, with 100 Crave pre-loaded on to each card. While the giveaway has since ended, if you are interested in getting a few cards of your own, go check out Whopper’s website! Another project that we have worked on is getting Crave integrated with StakeBox. StakeBox is a low energy consuming kit you can leave running 24/7 while earning staking rewards. It is quite energy efficient since your PC does not have to be left on and be connected to the internet. For this integration, we had to provide the StakeBox team with the Crave-specific software needed to run on their devices. This has been completed and sent in to their team, and we are now awaiting testing results before proceeding further. The cost of this is one Crave masternode, which they will run for setup and testing procedures. First off, we have been added to a few new exchanges. We have been looking for smaller or less-known exchanges that have a large potential for growth. While current top exchanges are something we want to strive for in the future, we cannot come up with 50+ BTC that some of these exchanges are asking for, especially since we held no ICO or premine and most additions come from the pockets of our team. The governance and proposal system will help in this regard as we grow. BiteBTC offers the first CRAVE/USD fiat trading pair, featuring SWIFT wire transfers and deposits by VISA, Mastercard, Alipay, OK Pay, and JCB. Also listed are BTC, ETH, and LTC trading pairs. Block DX is a decentralized exchange built on the Blocknet Protocol with peer-to-peer trading, trustless nodes, and much more. Other applications that we have sent in have resulted in future possible listings and served to set up a line of communication with projects. In addition to these exchanges listed, you can also buy Crave on Cryptopia, CoinExchange, CryptoBridge, and TradeSatoshi. Our marketing and film outreach teams are working on a project to initiate a Crave Channel / Video Blog which will see SoundDrGenie presenting his thoughts as he reads or review Crave items such as recent developments, team biographies, chat logs, twitter posts, Medium posts, Steemit articles, etc. It will also include more general cryptocurrency and blockchain news to attract a wider audience, while still getting the Crave brand out there. General marketing efforts to increase exposure is also still being worked on and continued. We have been working on a TipBot for use on Discord and Twitter. This should be completed soon, and help to serve as an incentive for activity and community-based marketing of Crave. The Crave team is in talks and early stages of adding additional elements and layers to Crave to provide something unique. More info will come on this soon. Further progress is being made on the new HTML based wallet. While teaser images can be seen on last month’s blog regarding the design, elements such as Coin Control (which was harder to code and design than initially thought) and the Send tab have now been added. The finalization of supply emission talks will be done soon. Given that this will be occurring at the same time as the release of zCrave staking, there will be some modification to the previous discussion to account for zCrave staking rewards. Some effort has been going into adding content to our Forum, especially in the FAQ and Guide sections. The goal is to eventually hold main discussions at this location, since it is easier and more convenient to search through (compared to Discord or Telegram). Our weekly Twitter giveaway has just come to an end! For the past month, we have been giving away 500 Crave a week to help gain some exposure on Twitter and our last month’s development blog. We have a few members in a trial run with the team to see how their contributions fit in. If all goes well and they are seen as bringing something valuable to the table, then they will be announced as official members. We are also still looking for new team additions in a few areas that could use some strengthening. Specific descriptions will be created for these roles to include on the team page soon. Thanks for reading, and the next development update will be released on 31 July 2018!